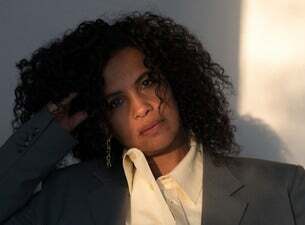 Swedish music icon Neneh Cherry brings her soulful, simmering electronic pop and R&B to The Tivoli in January for a very special performance on the back of the release of her fifth solo album, Broken Politics. With a career spanning three decades and hits like ‘Buffalo Stance’ and ‘Manchild’, Cherry has always been an artist with something to say, stamping her mark on the world with feminist anthem ‘Woman’ and her commentary on world issues in her iconic hit ‘7 Seconds’ with African singer Youssou N’Dour. Produced with British electronic legend Four Tet and showing yet another artistic transformation, Neneh Cherry holds a mirror up to the world on Broken Politics, showing the beauty and ugliness of modern society touching on issues like gun control, feminism and race. It's a record that's equal parts angry, thoughtful, melancholy, and emboldening, as Cherry and her collaborators continue to expand her ever-widening sonic palette to craft truly singular and potent electronic pop.